20 years in the making! Off-grid ranch has it all & is ready to go! 2 parcels totaling 247+ acres overlooking the San Antonio Valley. This cattle ranch has been built for comfortable living. Privacy & fantastic views from the 1,404sf, 3/2 manuf. home surrounded by a spacious yard & majestic oaks. The modern home features vaulted coffered ceilings, recessed lighting, ceiling fans in every rm, central heat, & dual pane windows. The kitchen has plenty of cupboards, sit-in breakfast bar, & pantry/mud room. The lvg rm has a wood-burning stove & opens to the covered & shaded front deck for addtl outdoor lvg space & improved energy efficiency. 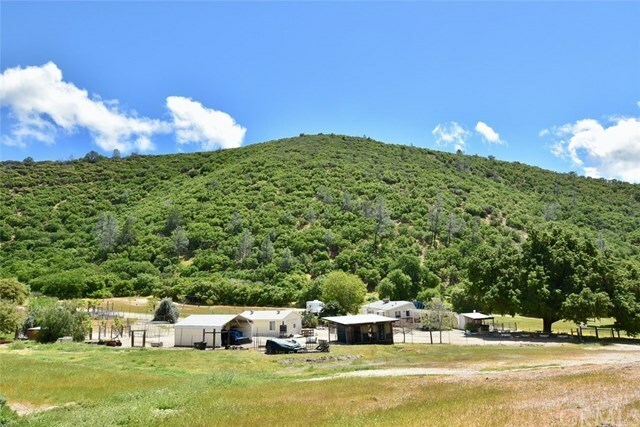 The homestead incls an orchard w/ many trees incl apple, pear, apricot, plum, nectarine, & pomegranate, a small vineyard, raised garden beds, 6-stall shaded dog kennel, chicken coop, tractor shed, & workshop w/ game processing area. The solar array powers the home, the well, & the shop. There are full RV hookups. Plenty of storage & parking for your vehicles, equipment, & toys. For the farmer/rancher, the ranch is fenced & cross-fenced, there are three plantable fields totaling approx. 15 AC, large hay barn, corrals, water infrastructure w/ water troughs throughout, a 2nd well w/ solar pump located on the 80 acre piece used for water troughs & keeps the pond full. Oak-covered hills provide fantastic wildlife habitat incl quail, deer, wild pig, & more! Private & secluded, yet easy access & only 25 mins to town. Purchase w/ 10% down Ag loan! Directions: Call Listing Agent for directions.